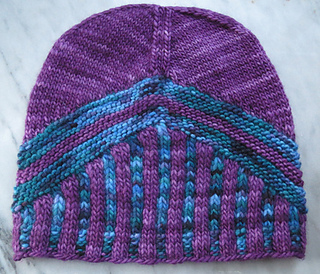 collection of four colorful cozy hats for the whole family. 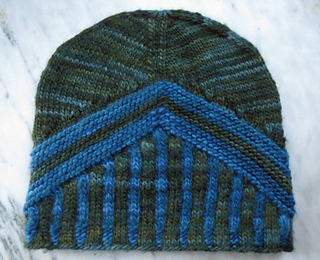 Matterhorn is a two color hat with a strong graphic element. 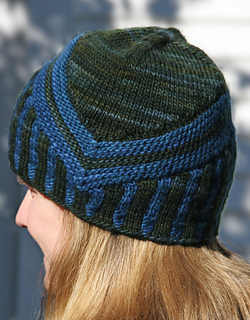 Stranded colorwork, garter stitch stripes, and short rows combine to create a hat that will keep you warm whether you are trekking through the alps or building a snowman in your own backyard.